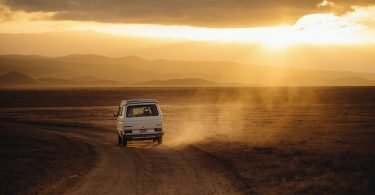 I was on the hunt for a vacation in a country that would offer me landscape diversity and social or cultural experiences that’s not only interesting but also easy on the wallet, as I had limited budget. I wanted to combine my own preference for wild and remote areas with some comfort, and alternate this with a “city-break” type of trip. I am an explorer, but this time I wanted to also explore culture, food and people, as well as nature. I referred to this handy list of the best travel apps to do most of my bookings on my smartphone. And this is how I got to Romania. I must admit that I also chose it due to its well-known Dracula story and my curiosity to discover whether there’s any truth behind it. Besides, I remembered that Prince Charles had purchased some properties after falling in love with this country and that I had seen an amazing road in a Top Gear series. So there I was, flying to Bucharest for my first pure Balkan experience not really knowing what to expect (I love that feeling when I travel – don’t you?). Romania is a country of contrasts and it is hard to judge it based on such a short trip. I believe that my three weeks spent there were enough to get an overview, but insufficient to explore it in detail. It was a fascinating experience, with no dull moments and you have here an amazing photo guide to understand what a great place this is! 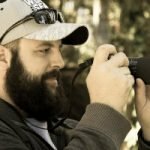 I absolutely loved Romania on a recent trip with me and a few buddies. 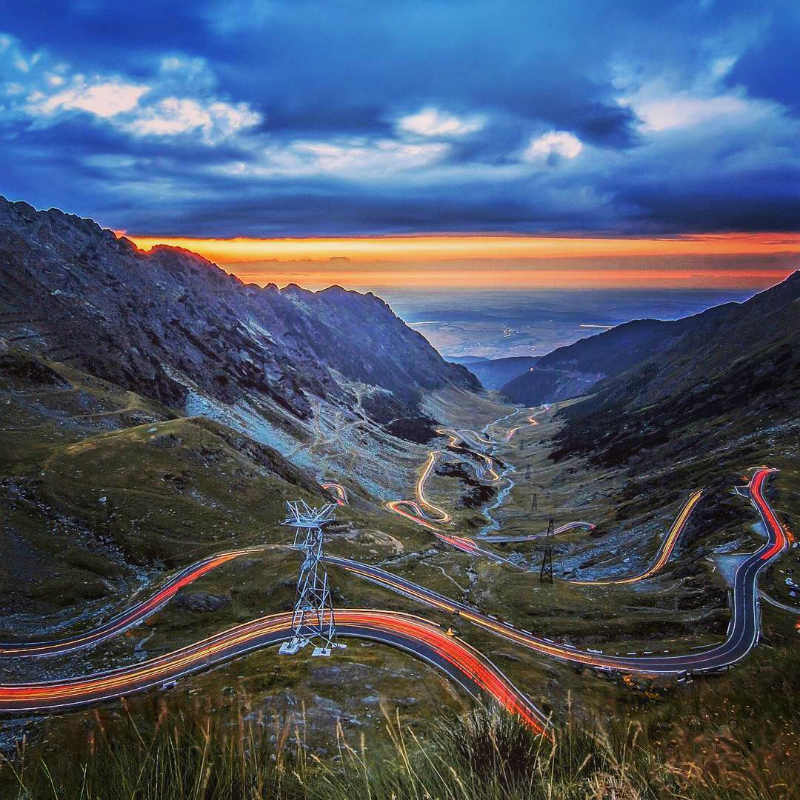 The transfagarassan road was a highlight! The Danube flows through 10 European countries before emptying into the Black Sea in Romania. 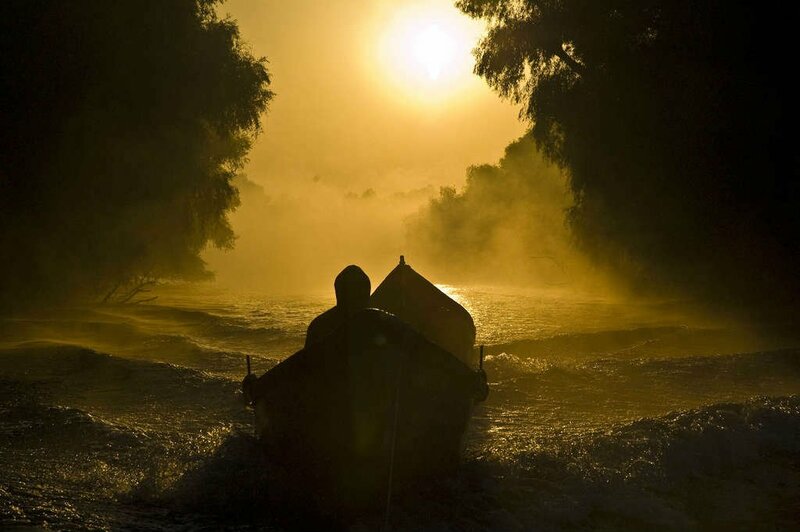 And this is where you can find the amazing Danube Delta – a paradise for fishing and kayaking. This is a one of a kind place, with a variety of birds, fish and plants that you can’t see anywhere else. As you explore the Danube Delta through its remote waters, you feel like you are the first to set foot on this amazing landscape. 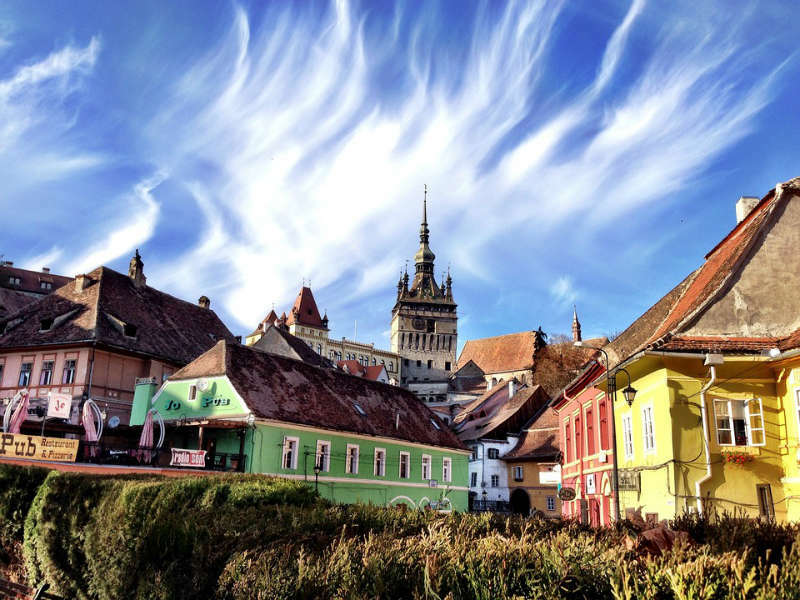 Reaching the region of Transylvania, and looking for Dracula’s story, I found Sighisoara, one of the best-preserved medieval towns in Europe. This is the birthplace of Vlad the Impaler, the Romanian ruler who actually existed and we all know under the name of “Dracula”. You have the chance here to visit Dracula’s house, eat great food, meet friendly people and simply walk on the tiny streets and listen to old music played by local musicians, getting the feeling that you travelled back in time. You would never put the words “merry” and “cemetery” together, right? The Romanians did. This cemetery is a cultural masterpiece that gives you a new perspective for the words “rest in peace”. 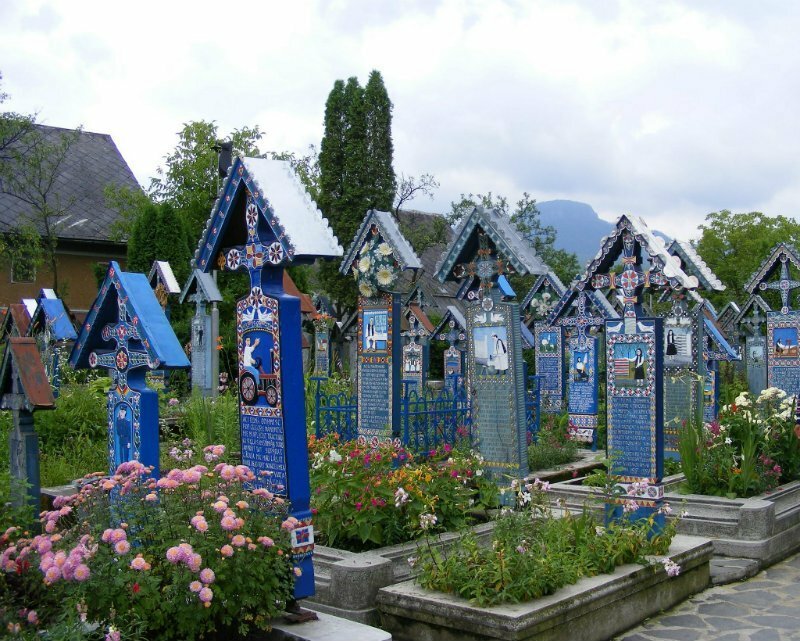 The crosses have a special design with vivid, beautiful colors, but the best part of it is given by the funny stories about the dead and their pictures carved on the crosses. 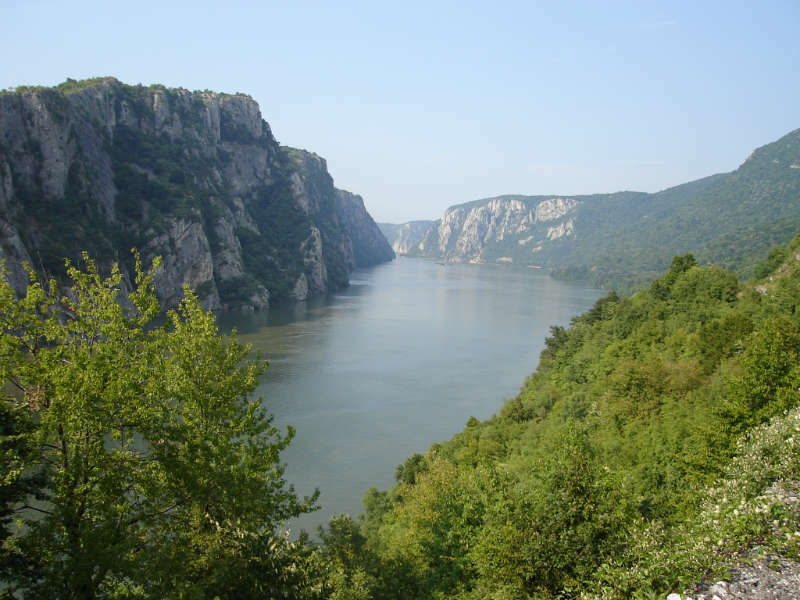 The Iron Gates Natural Park (Also known as Orsova, Dubova or The Danube’s Cauldrons) offers you another amazing piece of landscape involving the Danube River. You can take a boat ride and enjoy this perfect view of both Romanian and Serbian rocky shores. You will also see the statue of Deceabal (the first ruler of the region who lost the land against Romans) sculpted in stone and Mraconia Monastery. This is a place that many Romanians don’t know about. 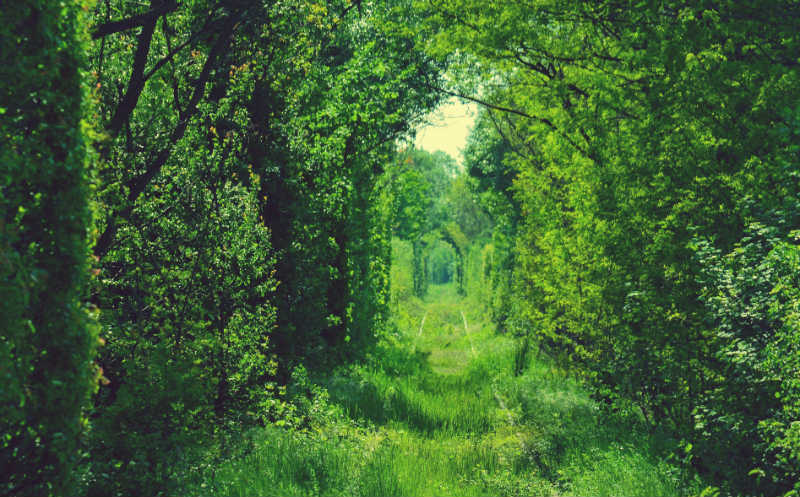 It has been recently discovered, in 2013, by mistake, and is often confused with another similar tunnel in Ukraine. There is nothing to see in this area, except for this tunnel, but I specifically wanted to reach this place because I love this kind of remote natural attractions. And it was worth the effort; I would love to see it during other seasons like Autumn or Winter. Romania used to be a monarchy before becoming a communist country, and most of the kings lived in the Peles Castle. 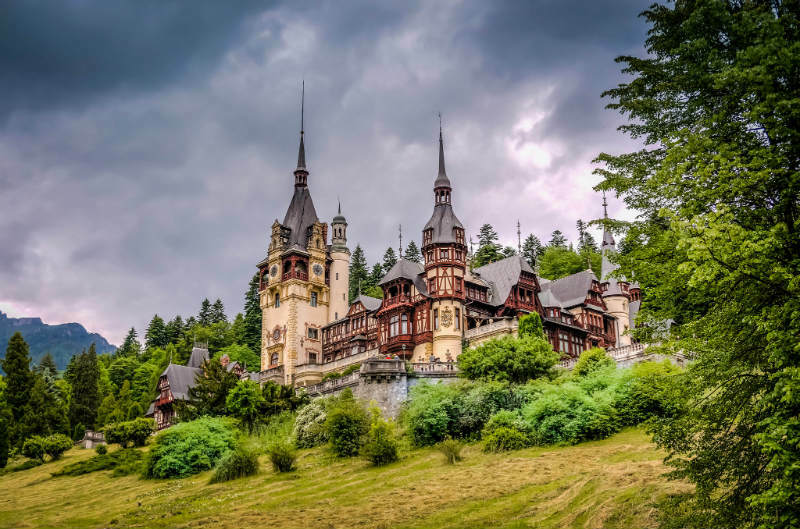 It is built in Sinaia, one of the most popular mountain areas in Romania, and it is simply stunning both on the inside as well as the outside. It has German new-Renaissance architecture and 160 rooms decorated with some of the finest examples of European art. You can’t visit all the rooms, but you get to the most significant sides of the castle and you won’t regret the visit. 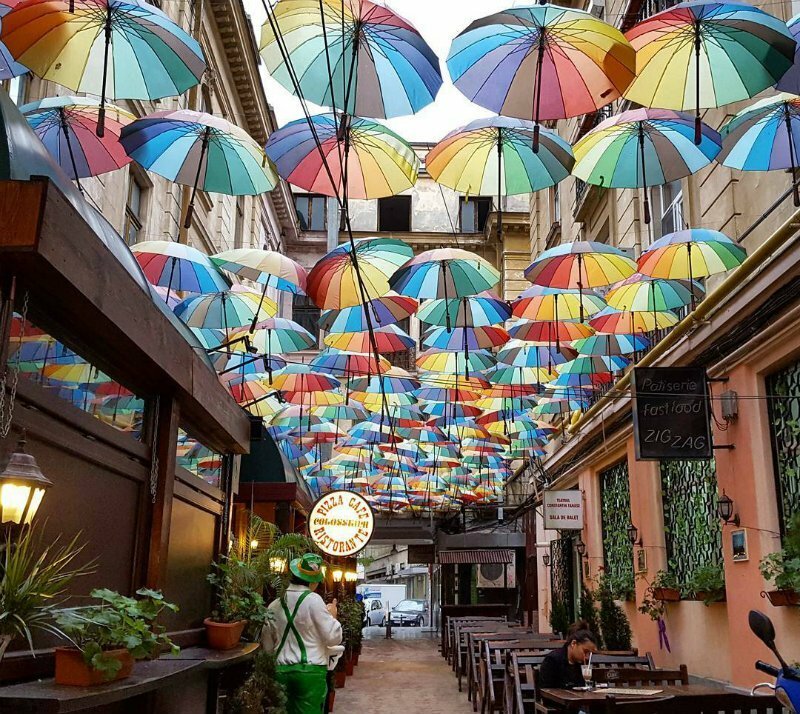 The Old Center of Bucharest is a pedestrian area, with a mix of old and new architecture, full of restaurants, pubs, clubs and small stores that make it the number one place to have fun in Bucharest. You can enjoy a variety of great food and drinks and experience a unique atmosphere until late at night. Romanians love to party and enjoy life and this is a great place to go if you want to get to know locals in a big city. 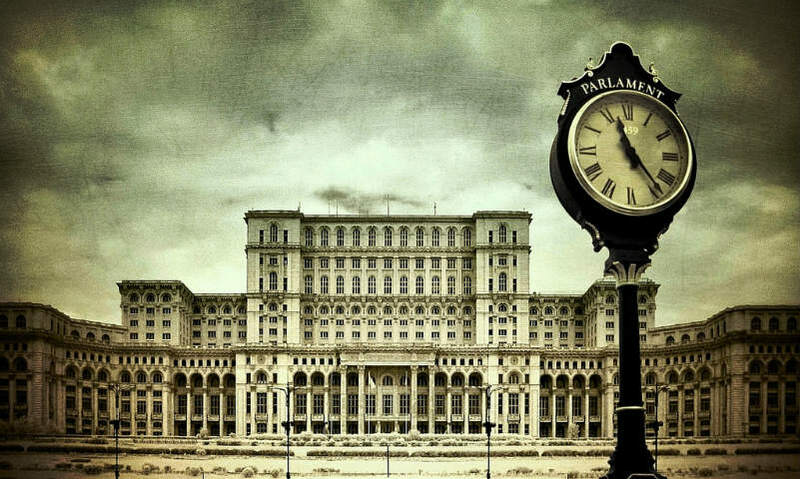 The Palace of the Parliament in Romania, popularly referred to as “The People’s Palace”, was built during the communist era and is the second largest building in the world by surface area after the US Pentagon. With 1100 rooms, out of which only 400 are used, it is a controversial building, as it is a very expensive and extravagant urban project. During the visit, you get to see only about 5% of it, but you are still amazed by the size and by the sad story of how the communist president Nicolae Ceausescu demolished historical buildings and literally starved the population in order to build what he wanted to be the largest construction in the world. 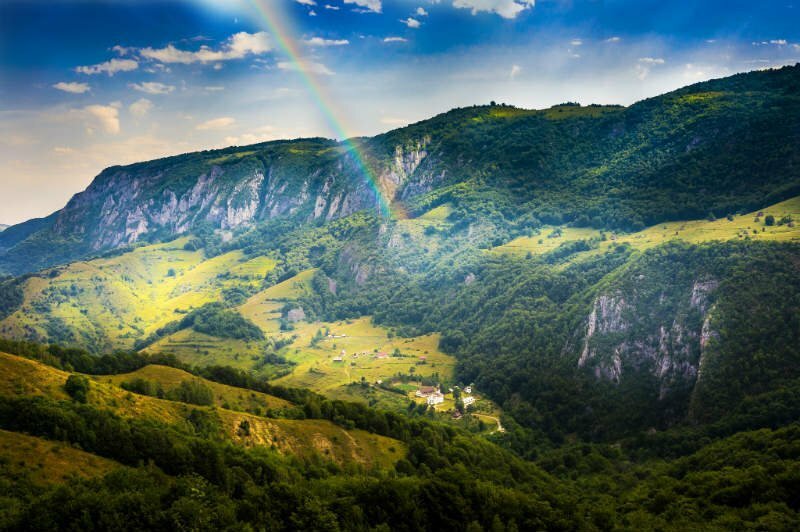 Transylvania is a region rich in attractions and you could spend a lot of time travelling around to reach everything. 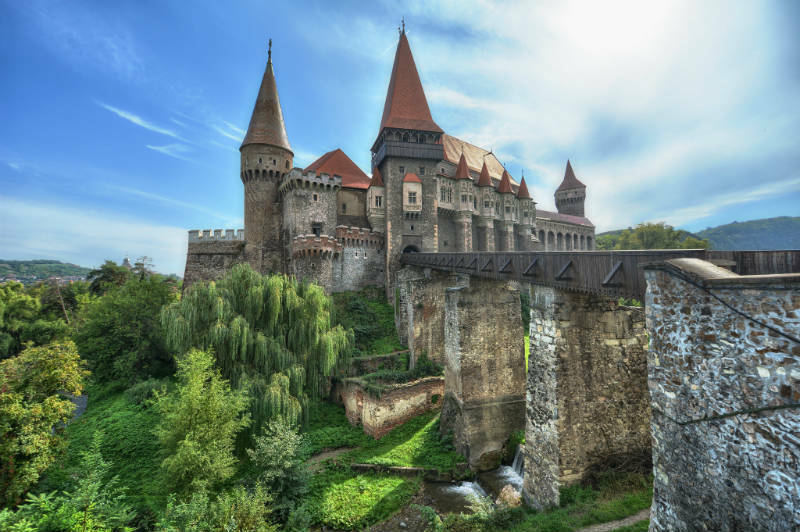 Corvin Castle is another piece of art that you can find here, in the city of Hunedoara. It is a Gothic-style castle built on a former Roman site and it is full of history and stories from the past. It served as fortress until mid-14th century, when it became the residence of Iancu de Hunedoara, another Romanian ruler. It was such a nice place that I could simply stand here and forget about the world watching the Castle and the surroundings. 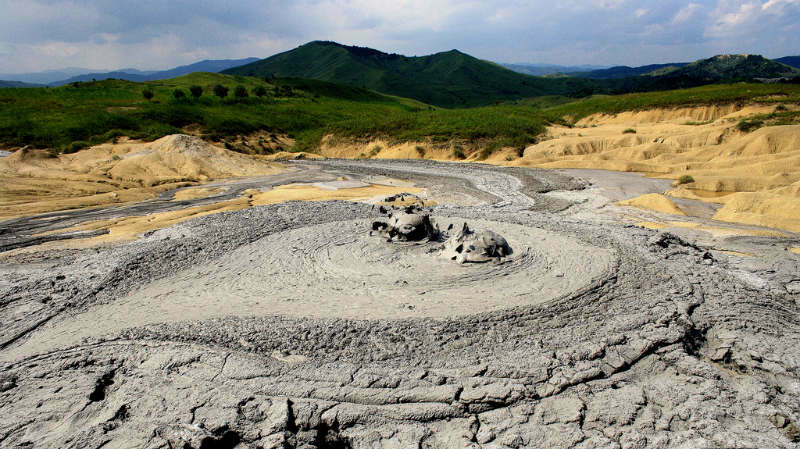 If you want to see how the landscape on the Moon looks like, you don’t have to travel out of space to see it, just go to Berca Mud Volcanoes in Romania. This is a very interesting geological reservation, one of the best in Europe, and you can see a slow or sudden mud eruption followed by gas emission. It is a protected area and you must obey the local laws. I loved the experience , especially that I could find comfortable accommodation in local houses nearby and tried some famous sausages, called “Plescoi sausages”, after the name of the village where the recipe was created. This is another amazing place in Romania where I could satisfy my yearn for adventure. 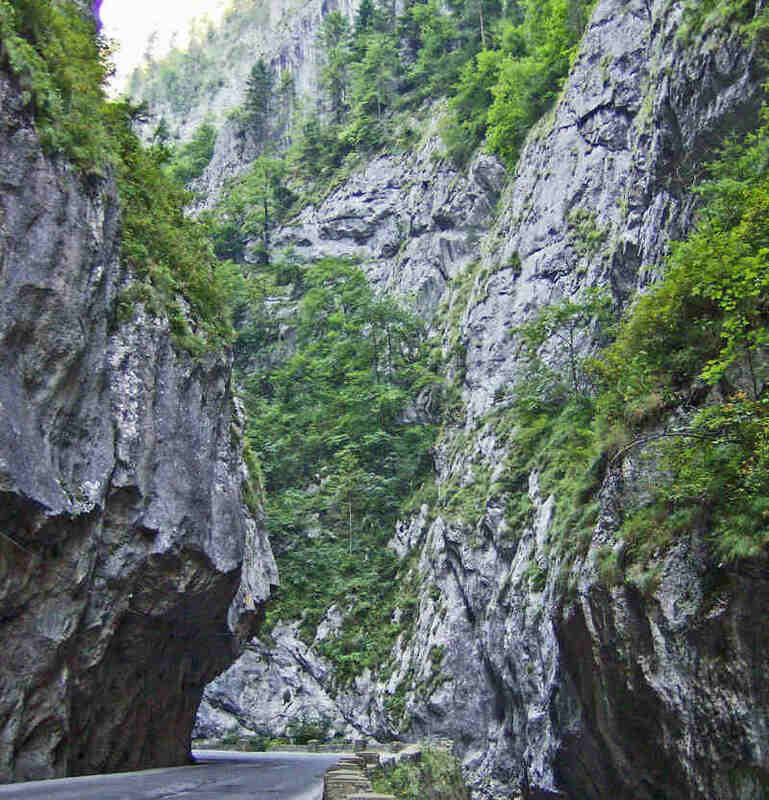 Bicaz Gorge is the border between Transylvania and Moldavia, another amazing region in Romania. The exciting and dangerous road slices through a small canyon and one side of this road is so narrow that it is called “The Neck of Hell”. If you have time to stop, you can enjoy great hiking or rock climbing. 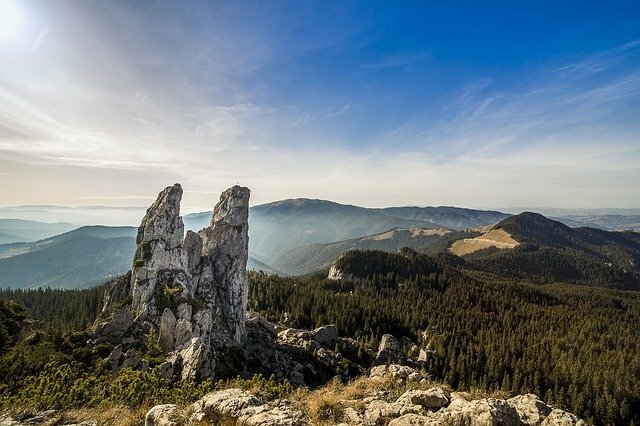 Located in the natural reserve in Anina Mountains, this place is a must-see if you get in Transylvania. The waterfall itself is rather small, but it is a small wonder of nature, as the water falls from a cliff covered with moss , which gives it a very surreal look. You can watch it from a bridge and it is spectacular, but if you want to get the best view, you need to adventure a little bit and explore your way to get right in front of it. 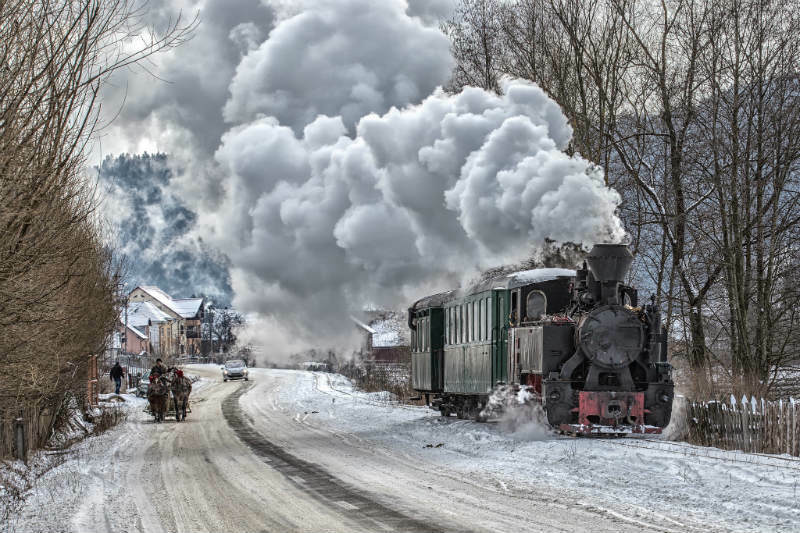 A 100-old small stea﻿m train, the only functional steam train in the world, explores this wild nature landscape to transport tourists, but also heavy logs for the small village nearby. This was an unforgettable experience and gave me some time to relax during the slow ride (almost a whole day for a 20 km ride) while enjoying the spectacular scenery and small traditional villages. People are very authentic and friendly even if they struggle with English. At the last station, you can enjoy local music and dance. I had a great culinary experience in Romania wherever I travelled. There is a large variety of food meeting all requirements. I enjoyed in particular the Romanian Mici or Mititei (small meatballs). 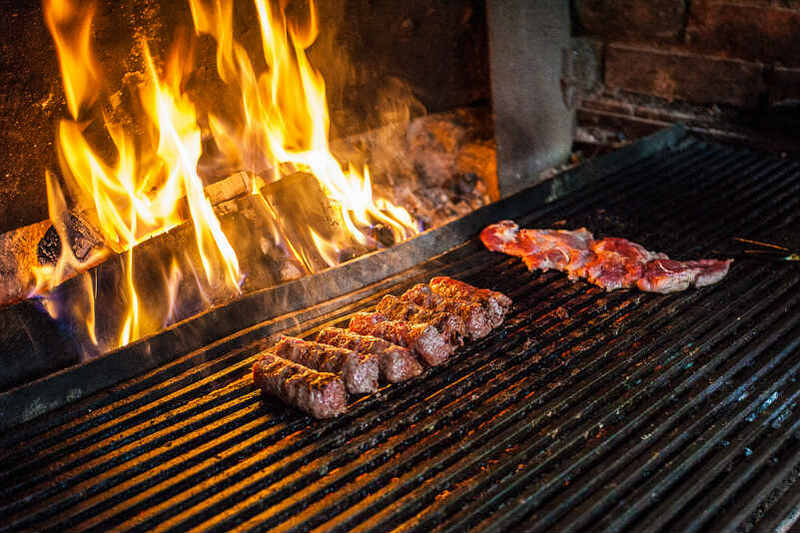 This is the most popular outdoor grilled dish. They are made of minced beef (or a mix of pork and beef) with spices, garlic and beef broth. They are served with mustard, fries and (sometimes home-made) bread next to a cold beer. This combination is simply delicious! 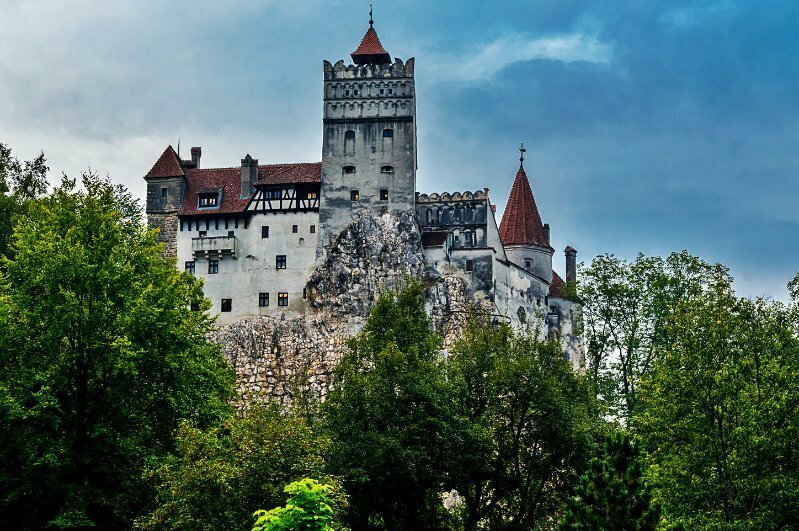 Bran Castle is promoted as Dracula’s Castle, but don’t expect to find a proper Dracula story here. It wasn’t the residence of Vlad the Impaler, he just passed by this place. Nevertheless, the castle is a little touristy but the surroundings - Bran Village and Moeciu area was worth the trip. You can enjoy narrow stairways leading through 60 timbered rooms, underground (secret) passages and a great collection of furniture, weapons and armour dating from the 14th to the 19th centuries. You have a great choice of local souvenirs and it’s a joy to speak with the local craftspeople. 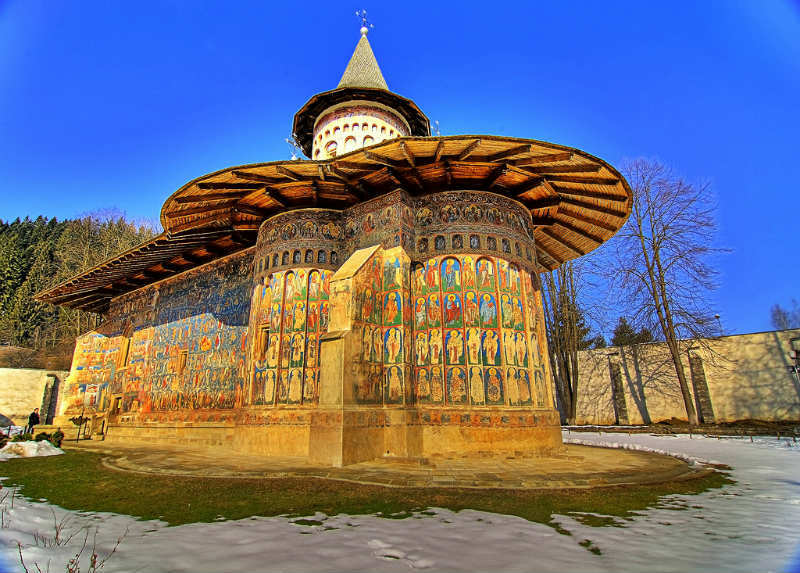 The Painted Monasteries in Bucovina are one of the main attractions for both Romanians and foreigners. If you want to get insights on the Orthodox religion and history, while exploring some picturesque treasures and hearing some interesting historical stories, you must get yourself there. The most popular monasteries are Voronet, Moldovita, Humor and Patrauti, but there is a whole tour you can take, including many more. The painted exterior walls are decorated with 15th-16th century frescoes illustrating religious scenes, images of prophets and saints. I only spent one night here and just hiked on this amazing plateau exploring the wild nature and charging my batteries with beauty and peace. It was a shame that I couldn’t spend more time. The food is homemade and very tasty, the people are the warmest in the world and the place itself just leaves you speechless. I left this place feeling younger than ever. Balea Lake is the destination point of Transfagarasan Road. 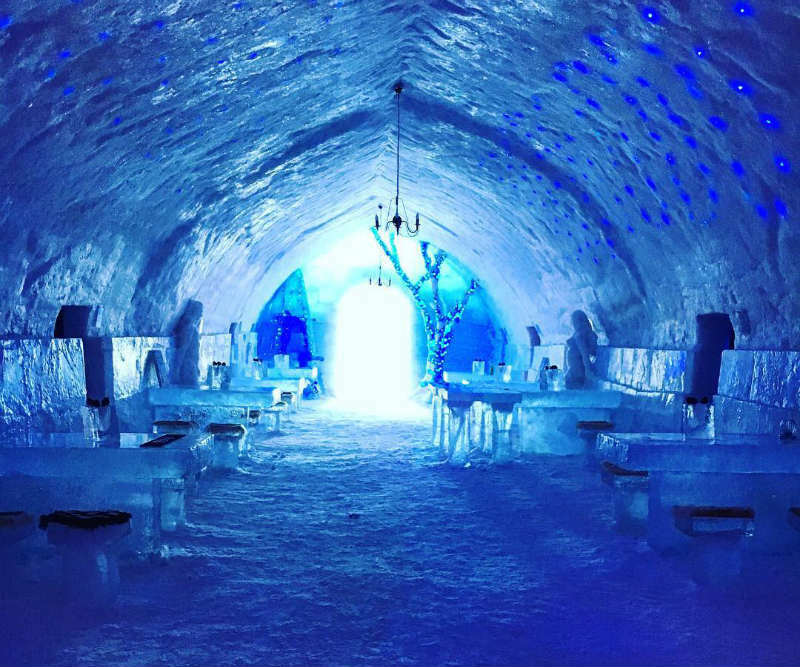 The Balea Ice Hotel, is a must try. How often can you sleep on a block of ice and have a drink at a bar made of ice? Local craftsmen use ice from the lake to build the entire space. Make sure you save a night to enjoy this awesome hotel, especially that it is very well organized and you get the best comfort you can get in an ice hotel! Vama Veche was mostly a social experience. This is a resort on the Black Sea Coast, at the border with Bulgaria. But Vama Veche is more like a story or a spirit than a place. 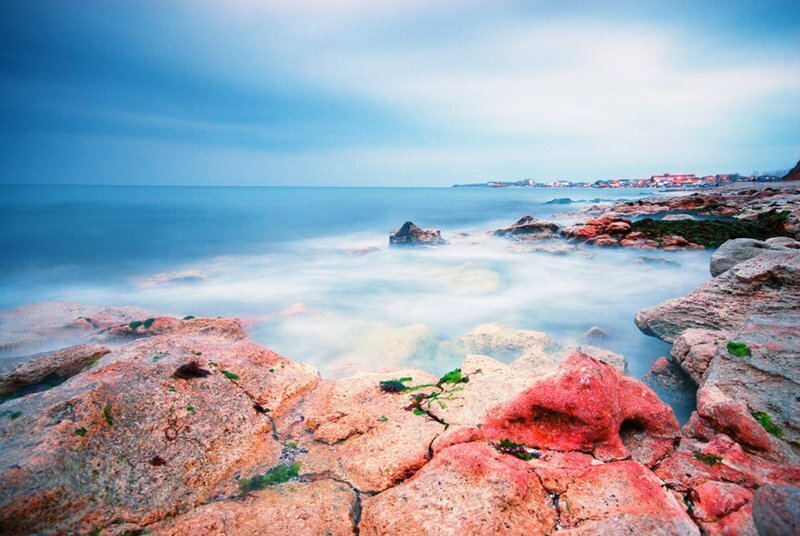 It is well known for getting wild while partying and it’s one of the main attractions at the Romanian seashore. I liked it a lot because it perfectly embodies the “love and peace” message of the hippie people. No matter the age, nationality or social status, people gather here, eat, drink, party and eventually sleep on the beach. The sunrise finds all these people, not knowing each other, together, enjoying the simplicity of a beautiful moment. My personal experience was about togetherness and free spirit, about going wild without constraints, about a real connection with strangers. If you’re still not convinced that Romania is worth a ﻿﻿﻿vacation then let me know, because I can assure you it is. My experience in this country offered me unforgettable moments that I always look for in any kind of trip – it really didn’t disappoint. The whole mix of culture, people, attractions and landscape makes it such an interesting and unique country. Whether you want a city break, an adventure travel idea, a relaxing vacation or a cultural experience, this country will certainly meet and often even exceed your expectations. Go there you won’t regret it!